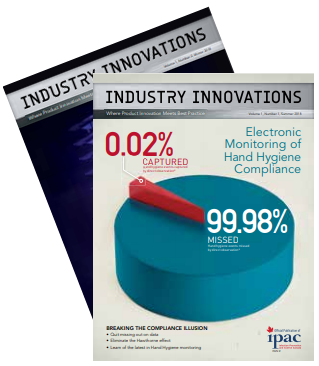 The Industry Innovations publication aims to enhance the clinical research repertoire of Infection Prevention and Control Professionals as offered in the Canadian Journal of Infection Control (CJIC). This publication will highlight technological innovations offered by our industry partners. By curating and cataloguing these innovative offerings thematically based on a shared whitepaper submission guideline, we hope to offer a comparative view of industry offerings that will assist IPAC Canada members and their institutional colleagues in making informed decisions on industry partnerships and implementation of products in their facilities.